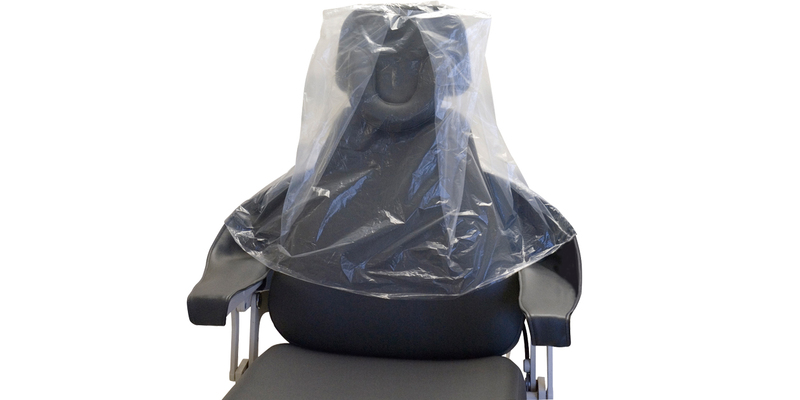 Standard fit, clear plastic chair cover on a roll. Covers the top half of the chair, including the headrest. Convenient surface protection against cross contamination. Each sleeve measures 27.5"W x 24"L.